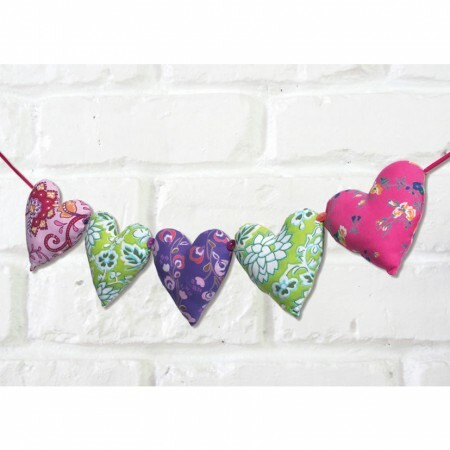 A pretty string of fabric hearts that will brighten up any room of the house. Each heart is made from hand printed material with beautiful greens, purples, pinks and amazing patterns. This would look lovely hung on a child's door, above a bed or anywhere else you might like to add some colour to your home. Makes a lovely gift that is sure to be used to decorate a room for many years.